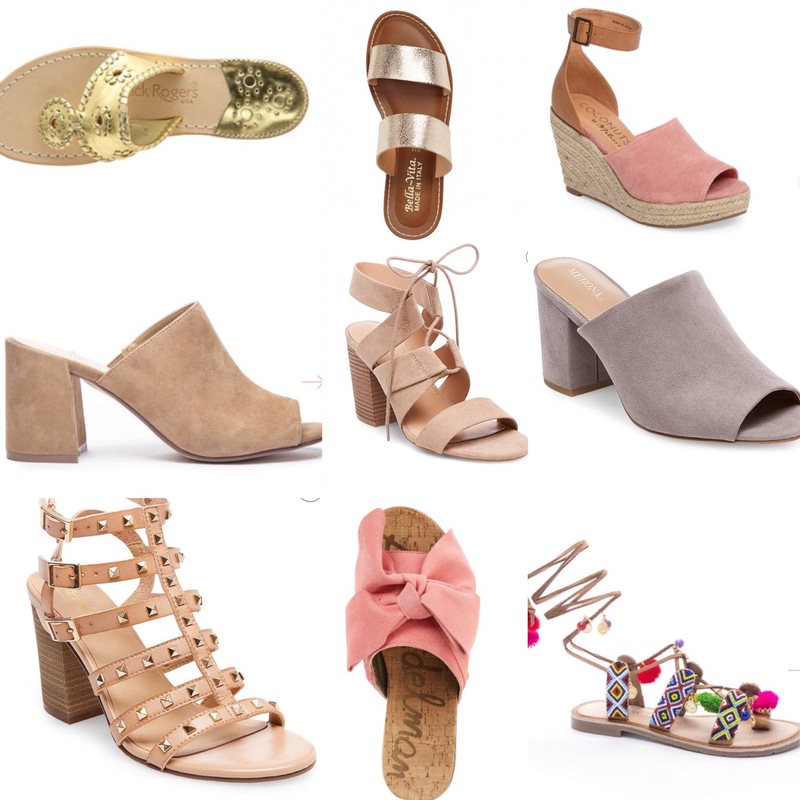 I am in love with so many of the new spring sandals that have come out. The mules definitely had to grow on me for a little bit but now that they have… I want a pair in three different colors! Target has stepped up their shoe game (not that they didn’t do a good job in the past, buttttttt). Target has so many good designer shoes this season. For example the rock studded heels (first on the bottom row) are identical to a pair of Valentino’s, they also have the flat gladiator version as well! The bow has been a recent favorite of mine, I know it’s not for everyone but I think they’re too cute, so girly and look incredibly comfy- also a plus! And of course, I had to add a pair of Jacks because they’re so timeless, ageless and last a lifetime! Hope everyone has a great weekend, here’s hoping it gets a little warmer soon!!! Love that Sam Edelman; I might even be able to wear it.